Epson has announced that its full line of multifunction teller printers and check scanners have been tested to operate with the newly released Microsoft Windows 10 Operating System. Epson’s full line of multifunction teller solutions have been tested to work with Windows 10. Windows 10 provides advanced security capabilities with additional features for hardware-based security, mobile work and data protection. It also provides a single device management platform across all devices, from phones to laptops to Internet of Things devices. Windows 10 helps enterprises stay up to date with Windows Update for Business and Windows Store for Business. Epson’s family of financial solutions include multifunction tellers, printers and check scanners that allow financial enterprises to process transactions quickly and accurately, keep operations stable and adhere to evolving regulations in the financial sector. 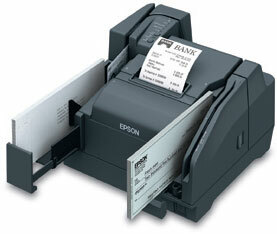 Most notably, Epson’s TM-S9000 and TM-S2000 multifunction teller devices offer all of the advanced features financial institutions need for teller capture, including fast scanning speed, extraordinary MICR accuracy, cashier check and endorsement printing, two-sided ID scanning and more.